Do you remember the TV game show, “Who Wants to be a Millionaire?” Contestants could phone a friend when they needed help trying to answer a difficult question. Do you have someone to call when disruption hits your supply chain? When connected to a global trade network, you have thousands of supply chain friends to reach out to for help. A global trade network is a living ecosystem of supply chain partners all connected through one cloud-based technology platform. 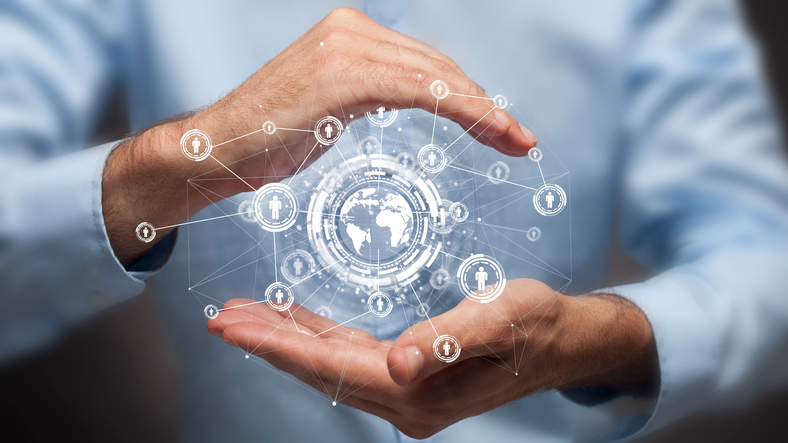 The model – interactive collaboration among carriers, shippers, forwarders, suppliers, 3PLs, and even customers – drives a powerful network effect with the benefits of universal connectivity among participants. This connectivity creates a number of benefits to help companies streamline their global supply chain management. Supply chain managers can explore new opportunities during capacity constraints because the global trade network contains thousands of carriers, forwarders, and 3PLs who are already connected and readily available. The technology platform provides for easy access to aggregated data on how each carrier performs to guide decision making when selecting a new partner. A global trade network expedites the onboarding processes. Companies can quickly choose a new supplier or explore a new market instantly. The information is already available in the technology platform. The global trade network also allows for creating and updating workflows to better serve customers. Using an ‘always on’ services library the global trade network provides a nearly limitless array of options to configure joint processes. The ability to quickly adapt to new customer demands is a hallmark of a global trade network. When all supply chain partners are connected to the network, visibility becomes second nature. Everyone is on the same platform so end-to-end visibility is built-in. Embedded analytics help managers respond proactively in real time to disruption in the supply chain. Network modeling provides for the opportunity to create “what if” scenarios based on historical data and trend analysis. A global trade network opens the door to new optimization opportunities. Micro-optimization follows the traditional pattern of optimizing a stand-alone supply chain, which saves time and money, but at a certain point the options start to dwindle. Macro-optimization allows for scanning the entire global network for cost-saving opportunities. These orphan opportunities cannot be optimized alone; they need the collaborative nature of the network to move forward. Compliance and customs is one of the most complex issues facing a global supply chain because there are so many laws governing trade. It’s compounded by each global trade participant’s unique position in the field. Friction can cause delays, loss sales, and reduce customer service levels. A global trade network can help achieve friction-free borders by connecting all compliance software with transportation software for seamless movement of product. As the global trade network model becomes more widely adopted, the collective benefits will continue to rise. If you would like to learn more about how BluJay’s Global Trade Network can help you reach soaring performance, follow this link for an interactive animation.